*SAT NAV**MEDIA CONNECTIVITY**CRUISE CONTROL**REVERSE CAMERA**PAN ROOF**FOLDING SIDE MIRRIOR*All vehicles are HPI checked and include 3 Months mechanical warranty (excluding trade clearance cars), 12 months AA breakdown cover and our own 30-Day reassurance promise. Five-day drive away insurance is also available. P/X always welcome. All major credit/debit cards accepted. Competitive finance options available and zero deposit finance can be arranged subject to status. Remember to check the details of this vehicle with the dealer before you buy it to make sure that all the information is accurate.For more information on any of our vehicles or to book a test drive please contact our friendly and helpful sales team on *** or visit our website ***. Opening hours are 9.30am to 7.00pm Monday to Sunday. You can rely on Reverie Autos to buy your next car with confidence. We pride ourselves in our unmatched aftersales customer care, don't just take our word for it, see what our customers have said about us on our reviews page. 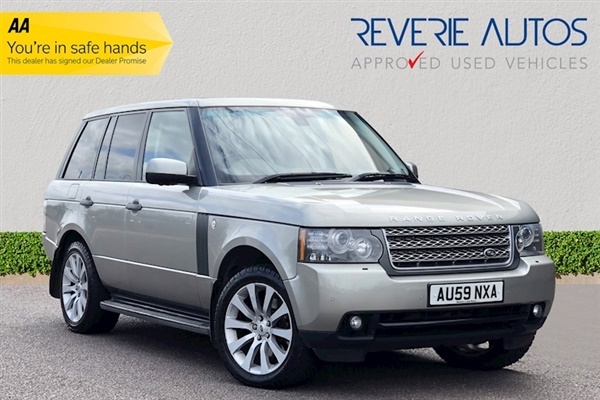 This advert is for a Land Rover Range Rover, click Land Rover Range Rover in Bell Bar to see more cars like this in the local area. Want to search further afield? Click Land Rover Range Rover in Hertfordshire to search for similar cars in the wider Hertfordshire area.